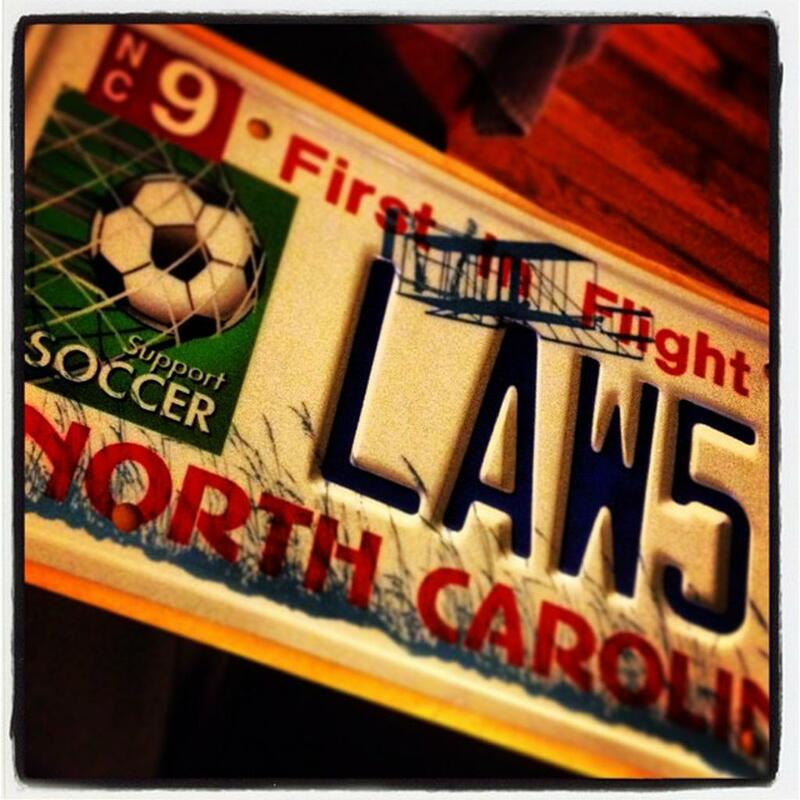 The Support NC Soccer License Plate is now a reality! 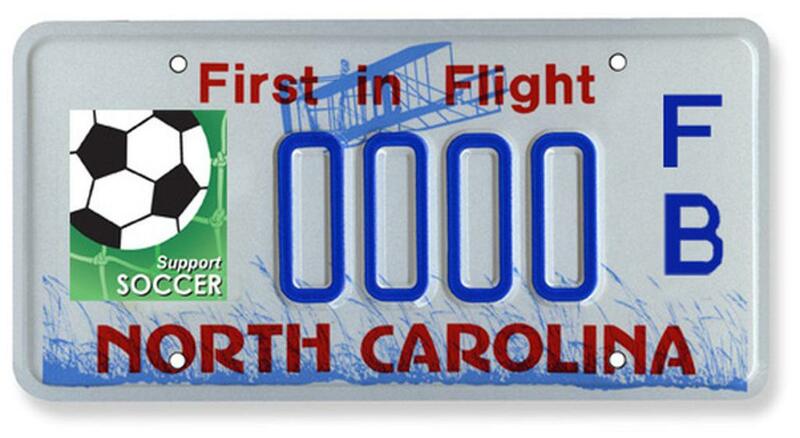 Now you can support Soccer in North Carolina by purchasing your own Support NC Soccer License Plate by clicking this link, or the plate above (goes to the NC DMV). Proceeds support multiple soccer entities in NC: NC Soccer Hall of Fame, NC High School Soccer Coaches, NC Soccer Referees Association, NC Youth Soccer and NC Adult Soccer. 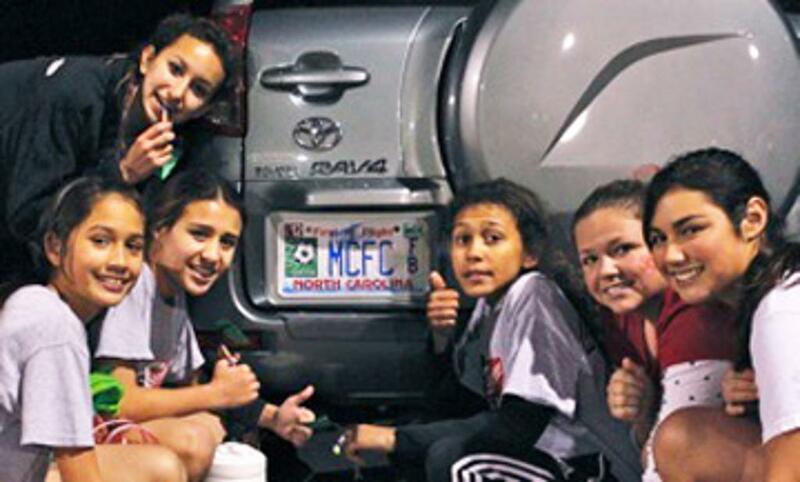 The bonus is you get a neat looking license plate showing your support of the Beautiful Game! Love It. Live It. Drive It. In the meantime, please enjoy photos of plates on the road! If you have a plate photo you'd like to submit, please email Mark Moore and include the details! Please view some of the plates around NC!